Allegheny Ford Isuzu Truck Sales is one of the few companies capable of offering the custom stake body truck builds that businesses need to meet their payload requirements. 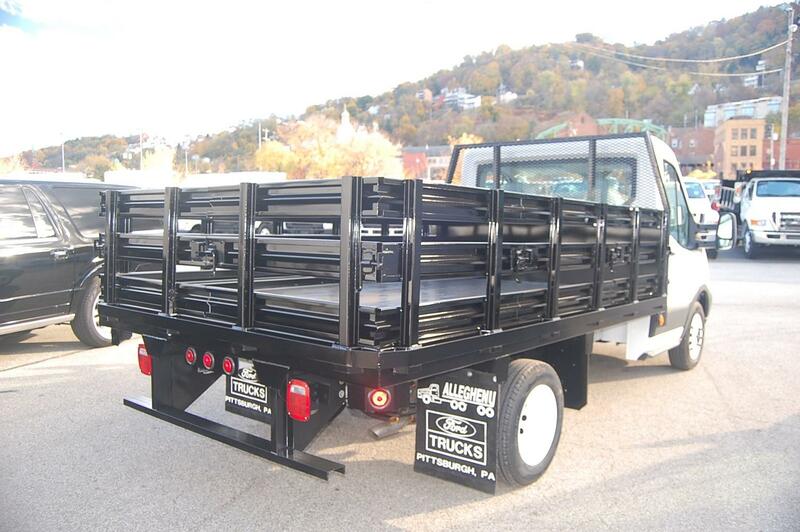 The team at Allegheny Trucks is able to offer commercial stake body trucks of varying sizes and payloads for Pittsburgh area businesses to put to work. Get in touch with our team to get started on your stake bed truck build today. 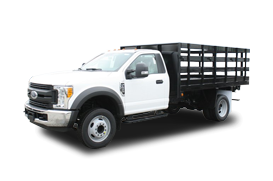 What is a Stake Body Truck? We get this question more often than we would care to admit, but it does have a simple answer. 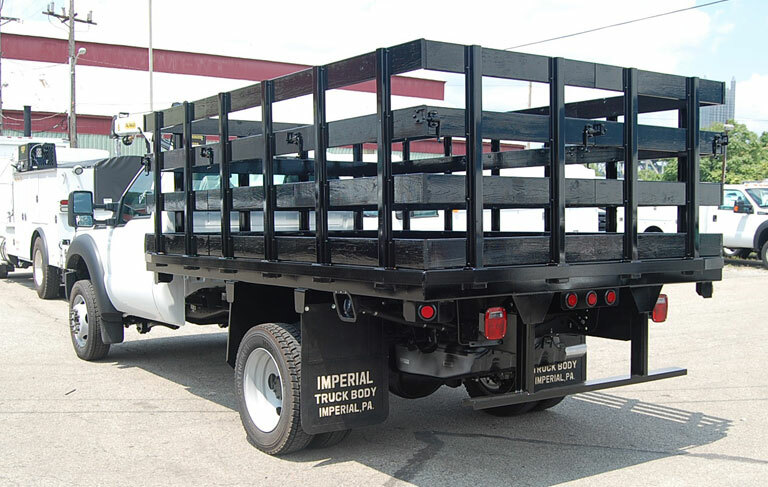 A stake body truck is comparable to a flat bed truck, but it has sockets along the edge that allow for upright stakes to be put into in order to form a fence. The side stakes around the truck bed are how stake body trucks get their name. 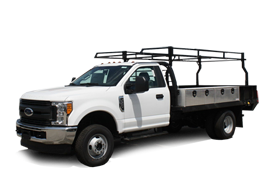 Stake body trucks are an ideal solution for any company, small business or fleet that has to haul materials of varying sizes. 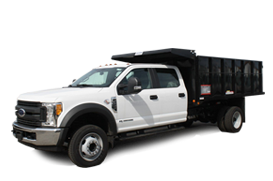 From tall loads to loose loads, a stake body truck can accommodate almost any type of material. Agriculture, landscaping and hardscaping companies have long favored stake body trucks for their adaptive storage, impressive payload capability and ease of use. Allegheny Ford Isuzu Truck Sales features several sizes of stake body trucks for Pittsburgh area businesses to put to work. The larger the body, the greater the load a truck can handle. An 8 ft. stake body can hold 1,815 lbs. A 9 ft. stake body can hold 1,925 lbs. A 10 ft. stake body can hold 2,035 lbs. A 12 ft. stake body can hold 2,275 lbs. A 14 ft. stake body can hold 2,540 lbs. A 16 ft. stake body can hold 2,830 lbs. An 18 ft. stake body can hold 3,090 lbs. A 20 ft. stake body can hold 3,345 lbs. A 22 ft. stake body can hold 3,645 lbs. A 24 ft. stake body can hold 3,830 lbs. A 26 ft. stake body can hold 4,005 lbs. Pittsburgh area fleets and businesses in need of additional capacity and adaptive hauling need to see what stake body trucks have to offer. Allegheny Ford Isuzu Truck Sales has the ability to add stake body upfits to Ford and Isuzu chassis trucks. 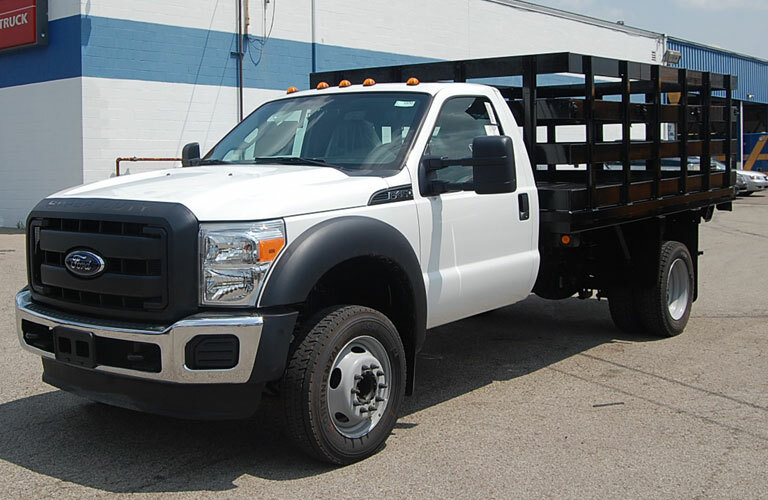 Contact our team with your exact specifications and our team will do their best to find the exact stake body truck solution that your business requires.